I’m a fiery fan of Vitamin C, especially topical vitamin C serum for my face and neck. I’ve gone through more bottles of vitamin C serum than glasses of orange juice over the years that I can count. No doubt, it’s one of the most recommended products you’ll find in my skincare arsenal. It works for all skin types and all skin conditions. 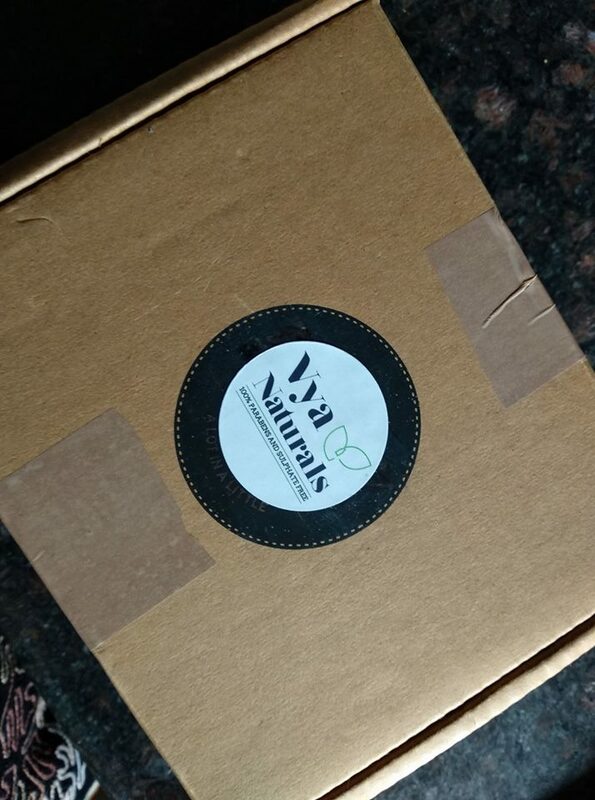 And at the beginning of this month, I have a new addition to these recommendations: Vya Naturals Vitamin C Serum – a 100% parabens and sulphate free serum containing 20% vitamin C to reduce uneven skin tone, dark spots and hyperpigmentation. Interested? Read full review to know more about the product. 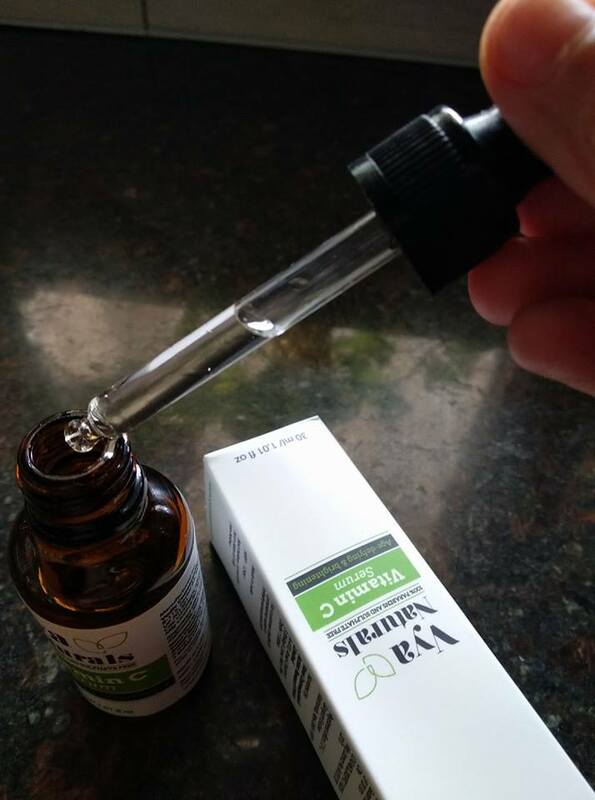 An anti-aging and skin brightening serum containing 20% Vitamin C to reduce uneven skin tone, dark spots and hyperpigmentation. All skin types and all skin conditions especially those with lines, wrinkles, pigmentation and dull skin conditions. Purified water, Ascorbic Acid, Glycerine, Aloe vera Extract, Witch Hazel Extract, Bio-Sodium Hylauronate. Phthalates, parabens, sulphates, mineral oil and synthetic dyes. 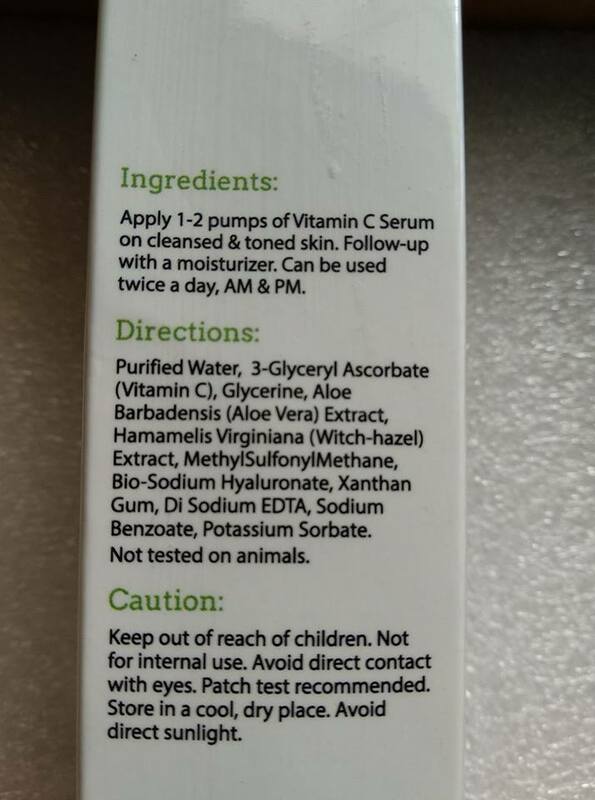 Possibly acne, allergy, or trouble causing any ingredient? How’s the texture and absorption quality? It’s colorless with a very runny texture that looks and feels just like water. The serum absorbs quickly leaving skin totally matte but supple, as if you have not applied anything. Apply 1-2 pumps of the serum AM and PM under regular moisturizer. Pretty quickly. A few days of usage should bring in a plumper and brighter looking skin. For wrinkles, fine lines, dark spots, and uneven pigmentation you should give this product a longer time to work on. May be 2-3 months of regular use. Two weeks to 20 days from today. How much does it costs for? Currently on sale at Amazon.in. Contains 20% vitamin C from purely natural sources. Whether being totally natural makes a product more effective is definitely something hard to say but I must say after using the product for two weeks, my skin is feeling fab. It’s happily hydrated and looks more radiant. Also, the serum feels just like water and you can easily layer multiple products under and over this serum. Works wonderfully in multi-step skincare and makeup regime. It’s fragrance-free and colourless. So, if you’re allergic to artificial fragrances or strong scents, it’s an ideal skincare serum for daily use. Also, being colourless makes it easy to detect, if the product is oxidized or not. (Oxidized vitamin C turns yellow or brown on oxidization. That is why many skincare brands formulate their vitamin C with a yellow or brown tint to make it hard to detect oxidization). Contains aloevera and witch hazel extract to soothe sensitive skin. 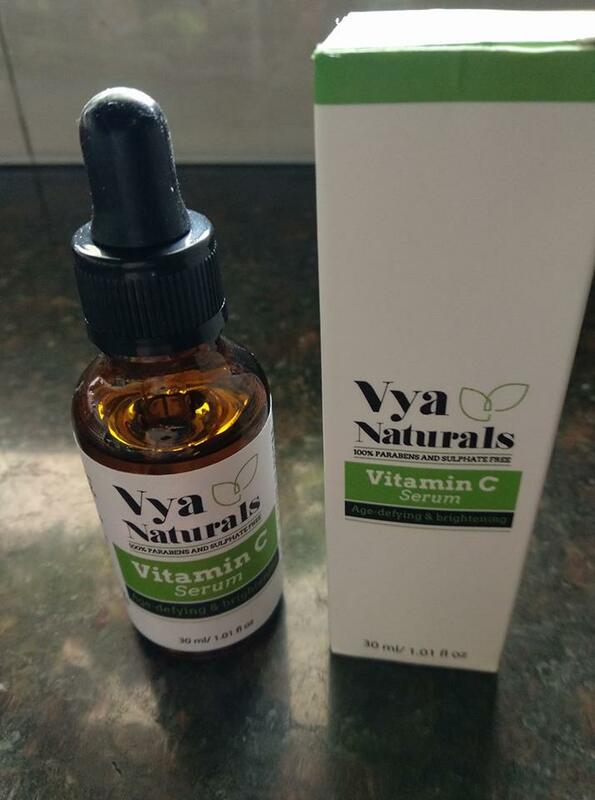 So if you have highly sensitive skin or for some reason react to high concentration of vitamin C, Vya naturals vitamin C serum is ideal for you. The packaging! – Which, could have been made to look and feel more attractive. 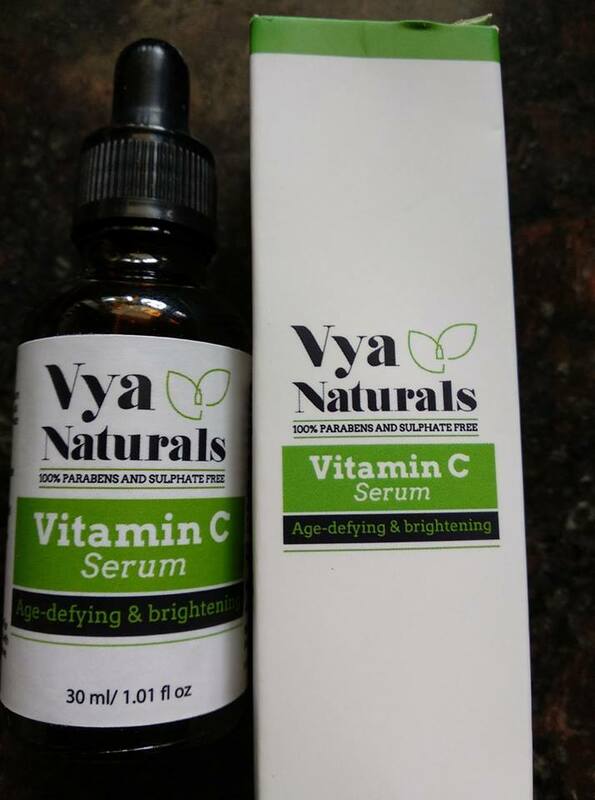 Vya Naturals vitamin C serum is a totally natural anti-aging and brightening serum containing 20% vitamin C. Retailing at INR 1295 for 30 ml, it is great for those looking for more affordable options without compromising on efficacy. *PR sample provided by brand.